While these boat excursions were meant to find whales and dolphins, they did not always find them. “You need to interpret anything you see,” says Lee, “because you don’t always see dolphins so you talk about waves and clouds.” And so began Lee’s journey learning about the ocean. During undergraduate, Lee was a double major in Electrical Engineering and Life Science with a Zoology focus and a particular interest in signal processing. “I wanted to do something where I could combine signal processing and something about the ocean and biology together,” says Lee. “So acoustic analysis and bio-acoustics seemed a good fit.” Except that no one in Taiwan was working on that type of analysis. After completing her internship, Lee continued her journey east to Massachusetts to complete a PhD in the Massachusetts Institute of Technology (MIT) – Woods Hole Oceanographic Institution (WHOI) joint program in Applied Ocean Science and Engineering. 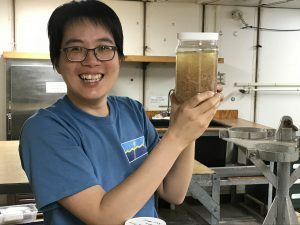 Her PhD focused on developing active acoustic techniques to observe marine organisms. 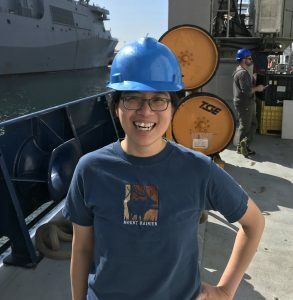 Her interdisciplinary focus meant that she also had an “interesting co-advising situation” with three advisors – two physicists and one whale biologist. Using echoes returned from sonar emissions to figure out what is in the ocean is a tricky business, but animals who use echolocation – or biological sonar – to sense the environment and find food had figured it out long ago through millions of years of evolution. Seeking to understand more about the mechanisms behind echolocation by digging into the world of neuroscience, Lee had two choices – stay “underwater” to learn from the sonar of dolphins or try to work with their counterpart in the air. Lee chose the bats. 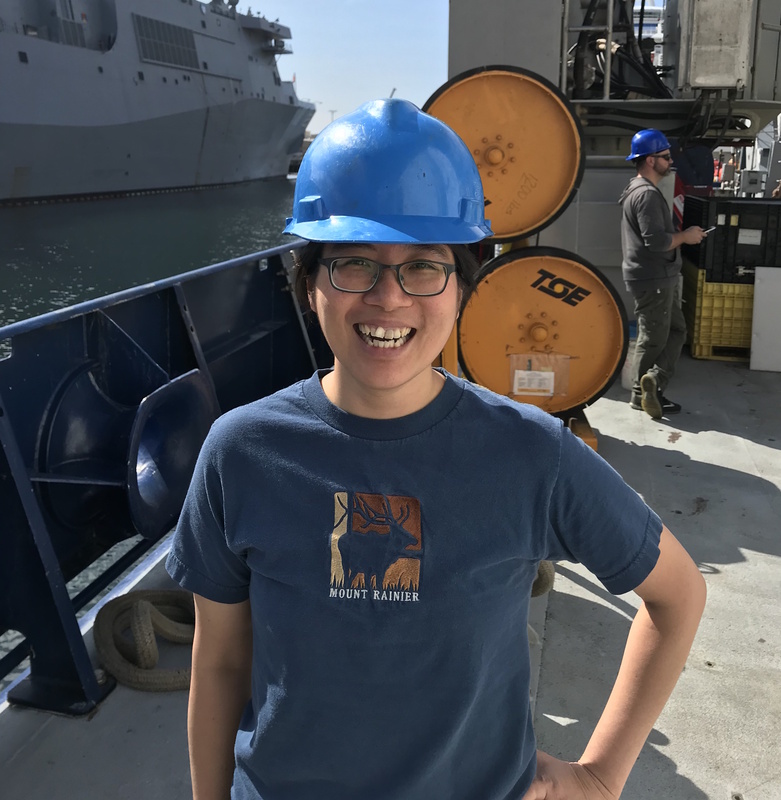 After two plus years of bats, Lee missed the ocean and going out to sea, so she took to a postdoctoral fellowship at the University of Washington (UW) Applied Physics Laboratory (APL). It was there that Lee discovered the OOI. To help tackle these challenges of big data, Lee began collaborating with the eScience Institute at UW. That collaboration led to the UW Cabled Array Hackweek in February 2018 and the upcoming Oceanhackweek in August 2018. Here, participants, ranging from students through senior scientists, lean into computational data analysis to work with and create products for users to analyze data from the OOI and other ocean observing systems. The current system used across fisheries to process echosounder data is very labor intensive. The data are processed very carefully to pull out which noises are fish and which are background. 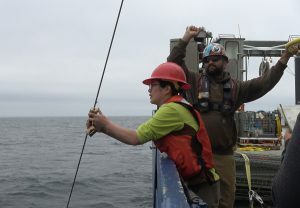 The final stage involves an echosounder expert (who has worked with these data in this specific system for years) sitting in front of a computer scrolling manually through the data and circling which are the right type of fish. 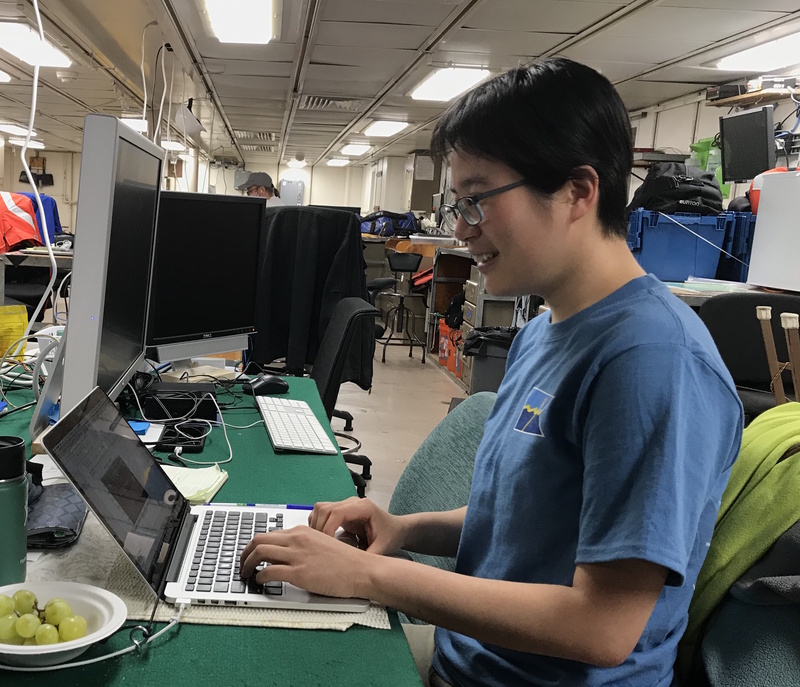 Lee and her colleague are proposing instead to process the streaming data in large chunks by running them through an algorithm to recognize trends and patterns in the echosounder data and how those patterns change over time. The basic formulation of this algorithm is similar to those used to look for trends in Facebook and Netflix recommendation systems. “We are trying to adapt a machine learning method to analyze data in a data-driven way,” says Lee. As for Taiwan, folks do go to the coast more now, and often out to sea. Awareness about the ocean and environmental issues are “way up right now,” says Lee, which she credits to social media, a different kind of ocean full of big, open data. Want to read more about Lee’s research? Check out her research blog with posts on the 2017 Solar Eclipse and trawling for zooplankton.